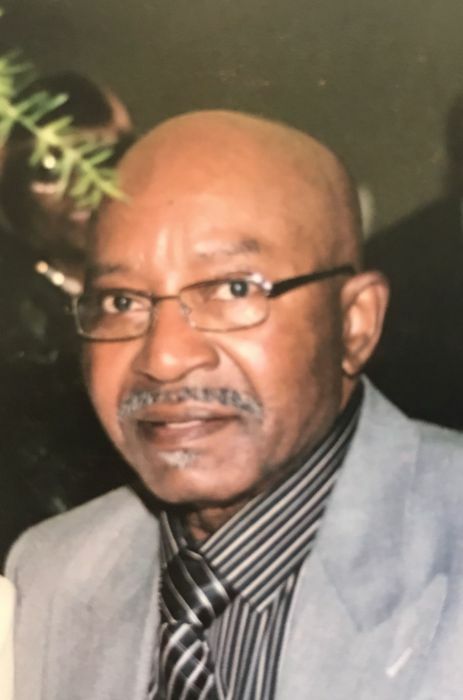 Obituary for Lonnie Cobb | Jones Clark Funeral Home, Inc.
Mr. Lonnie Cobb, age 76, passed from this life on Saturday, March 23, 2019 at approximately 2:58 p.m. at St. Rita’s Medical Center in Lima. He was born on November 29, 1942 in Hurtsboro, Alabama to the union of Charlie and Susana (Jackson) Cobb, both parents preceded him in death. Mr. Cobb retired as a welder from General Dynamics after 15 years of service, he also worked at Sheller Globe for many years. For over 50 years, Lonnie was an entrepreneur having owned a car lot, autobody shop and a gas station. He gave his life to Christ at an early age at New Morning Star Missionary Baptist Church, and was currently a member of Philippian Missionary Baptist Church where he served as a Trustee. He was also a member of the Masonic Order. On August 30, 1969 he was united in holy matrimony to Geneva (Lyles) Cobb who survives in Lima, Ohio. He and his loving wife Geneva have 2 children; a son; Gregory L. Cobb of Lima and a daughter; Veronica Hairston (Michael) of Columbus, OH. He also has a son; Brian K. Irons of Lima. 2 grandchildren; Mikaylan Hairston and Cristiana Hairston. 2 brothers; Willie Cobb of Phenix City, AL and Ezekiel Cobb (Dorothy) of Lima. 3 sisters; Abby Robinson, Rosana Releford both of Phenix City, AL. Rebecca Harris (Richard) of Lima. A host of nieces, nephews, other relatives and friends. Mr. Cobb was preceded in death by a brother; Charlie Cobb and 2 sisters; Beatrice Hill and Nonie Bell Moore. Home Going Services will be held on Friday, March 29, 2019 at 12:00 noon at Philippian Missionary Baptist Church with Rev. Dr. B. LaMont Monford, Sr., officiating. Visitation/Wake will be held on Friday, March 29, 2019 at 10:00 a.m. until time of services also at the Church.